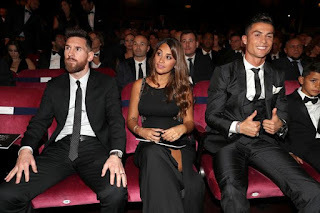 For the last decade, they have been two of the most outstanding and best footballers in the world. Unrivaled in skill, speed, and consistency. But are Lionel Messi and Cristiano Ronaldo friends? Don't bet on it and don't bet against it either, because both star strikers have very different views on how their relationship is currently, and how it might turn out in the future. They have shared a fierce rivalry with regards to football glory. Who is the real king of football? Leo or Cr7? Trust me, their legion of fans will always have plenty to say about that. In fact, currently, they have the largest fanbase of any individual footballers on earth. With a big divide of disparaging opinions keeping the rivalry going strong— between their fans at least. But Inspite of their rival status, they are actually quite cordial towards each other. 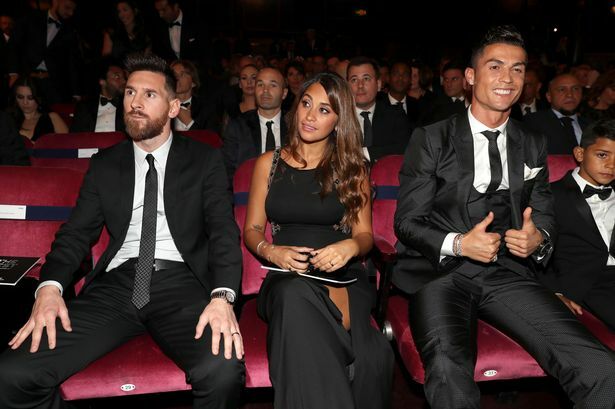 No sign of bitterness at all when ever they meet on the pitch or socially at awards and such. 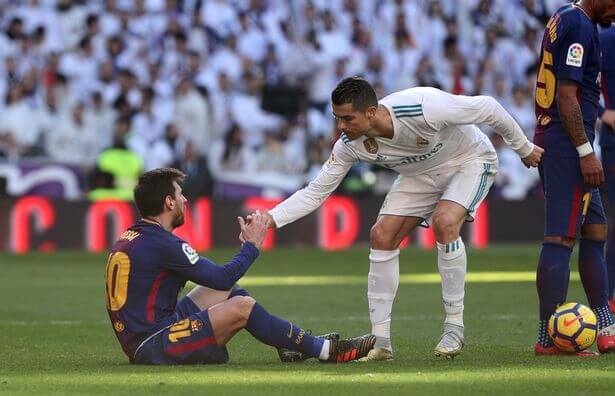 But Messi still doesn't believe he will ever be good friends with Cristiano Ronaldo. But his reasons are actually quite simple. Not what you'd expect at all. Despite the Real Madrid star claiming the pair could be pals in the future, The Barca talisman believes otherwise. A decade of sharing footballing excellence has not dampened their enthusiasm and skill. But it hasn't done much for their friendship either. The duo have been rivals throughout their illustrious careers, which has seen them pretty much take it in turns winning the Ballon d'Or since 2008. The fact that they play in two of the bigger football clubs in Europe has made the whole thing more competitive and often dramatic. Ronaldo and Messi represent the two powerhouses in Spanish football in Barcelona and Real Madrid, meaning one usually enjoys success at the expense of the other. It's been a see saw ride ever since the pair started clashing heads for accolades. Strangely, they have never shown a trace of disdain for one another, despite being the figureheads of their rival factions, but on the other hand, they have never had a relationship outside of work. But the respect they have for each other's abilities is unmistakable. Real Madrid star Ronaldo has previously said that he could one day be friends with Messi, once the duo have both retired from football. When the whole competitive heat has cooled off. 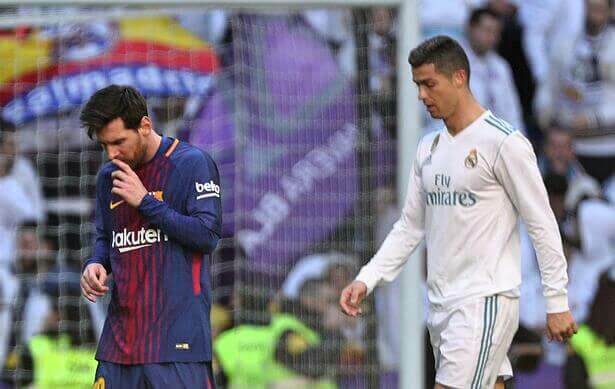 But in a recent interview, The Barcelona legend was asked if he agrees with Ronaldo, but appeared to hold a different opinion to his long-term rival. "I don't know if we will be [friends in the future]," Messi told World Soccer magazine. "Friendship is built through spending time together and getting to know each other. "We have no relationship, mainly because we only see each other at awards ceremonies, and that's the only time we speak. "Everything is fine, but our lives don't cross very often." But friends or not, who is actually the best football player? If I dare to open up that can of worms on this page. PSG forward Angel Di Maria, Who is a bit neutral, because he Was Ronaldo's former teammate at Real and Messi's Argentine teammate, has an opinion about who rules. Speaking to TyC Sports, Di Maria said: "Messi is always the best, he's the best every year. Cristiano Ronaldo's a special player, but Messi is from another planet. "There are no words to describe Messi, he always surprises you." Between Them they have won 10 Ballon d'Or. Messi has won 5 and Cristiano Ronaldo has won 5. Everybody else has been sidelined for a decade. And nobody is complaining one bit, because they deserve every glittering inch of the award every year they win it.